Justice B K Narayana dismissed the petition filed by Rasheed Khan, at whose instance an FIR was registered against Yogi Adityanath and others at police station in Kotwali Gorakhpur, against the Sessions Court verdict. 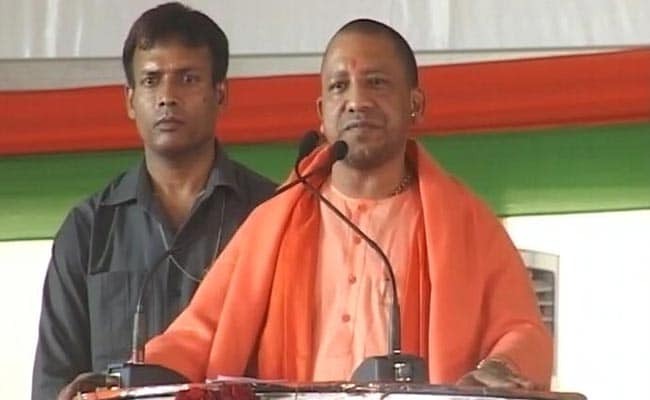 Allahabad: The Allahabad High Court today upheld the quashing of a Gorakhpur magistrate's order that took cognisance of a charge sheet against UP Chief Minister Yogi Adityanath in connection with a 2007 riot case in Gorakhpur. 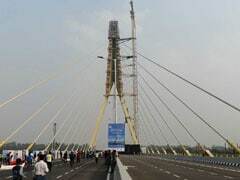 The court dismissed a petition filed by Rasheed Khan, the man who filed an FIR against Yogi Adityanath and seven others in January 2007, accusing them of creating disturbance at a Muslim place of worship and an intersection in Gorakhpur. Mr Adityanath, who was then Lok Sabha member from Gorakhpur, was arrested the next day and spent 11 days in jail. Mulayam Singh Yadav of the Samajwadi Party was the chief minister then. The Uttar Pradesh government later withdrew Mr Adityanath's security and the same year, Mr Adityanath had broken down in parliament, saying he was being made victim of a political conspiracy. The Uttar Pradesh police later filed a charge sheet in a Gorakhpur court and in 2009, the Mayawati government gave the mandatory sanction to prosecute Adityanath and others under Section 153 A of the Indian Penal Code - a provision that deals with promoting religious hatred. However, things did not move at the trial court level for the next few years. In 2014, Manoj Khemka, one of the co-accused, filed an objection in the trial court, saying the Mayawati government's sanction of prosecution was illegal since the file did not have the signature of the relevant officer in the Governor's secretariat -- the ultimate sanctioning authority -- but instead had the signature of an officer of a lower rank. The trial court had dismissed this objection but the Gorakhpur sessions court overruled it. The petitioner had challenged this order in the Allahabad High Court on the grounds that he was not heard by the Gorakhpur sessions court. Appearing on behalf of the petitioner, counsel SFA Naqvi had submitted that the petitioner being the informant in the case, was a necessary party, but the sessions judge set aside the Gorakhpur trial court's order without impleading him. "This application lacks merit and is accordingly dismissed. However, by way of abundant caution, C. J. M, Gorakhpur, is directed to decide the matter afresh pursuant to the impugned order of remand strictly in accordance with law and in the exercise of his unfettered independent discretion, without being influenced by observations, if any, made by the revision court in the impugned order," said Justice B K Narayana of the Allahabad High Court in his order. This means that the petitioner has one more chance to approach the trial court again.